Hi! I've recently changed jobs and yes, I've been super busy these days with new challenges. Trying to fit all my appointments to my new time schedule, managing expectations at my new job, meeting new people, it has all been quite overwhelming for me. 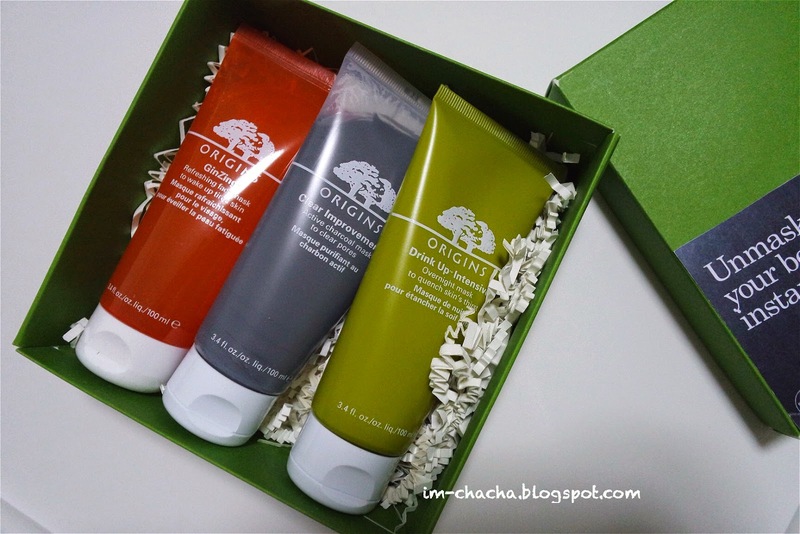 Unfortunately, this has affected my complexion..When skin gets overwhelmed and acts up, it's Origins high-performance masks to the rescue. Just like a facial, they reboot skin and put your daily regimen on track. Skin is instantly refreshed and there's no facial appointment necessary, which is super cool. This intense moisture replacement mask deeply quenches compromised moisture reserves and builds a reservoir for tomorrow. Review: It doesn't take much to convince us to get more sleep, but this luscious overnight mask makes snoozing as productive as it essential. Infused with botanical oils, the super-rich formula spends the night repairing and hydrating skin, giving me a soft, luminous complexion in the morning. Activated Charcoal acts like a magnet to draw out pore-cloggers, White China Clay absorbs environmental pollutants, Lecithin dissolves impurities. 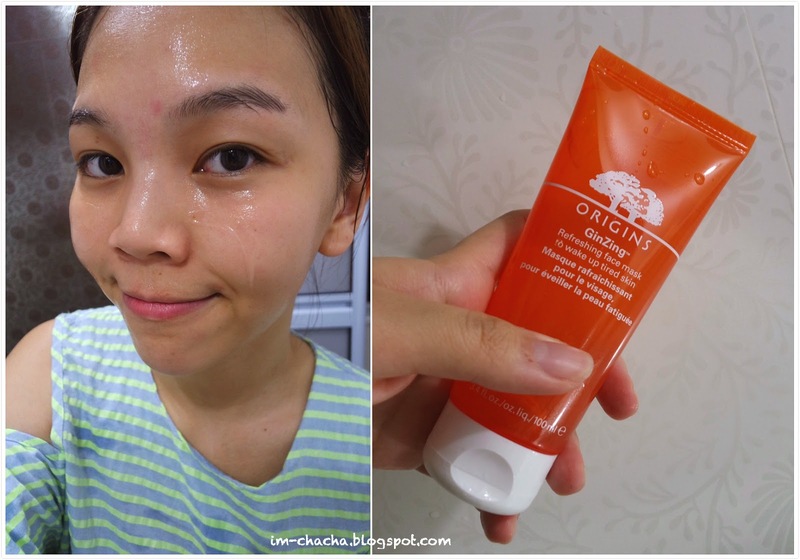 Without all that "stuff" down there, skin "breathes a sigh of relief"
Review: I love this the most! It brightens my complexion right after my first use. Perfect for a dull skin baby like me. 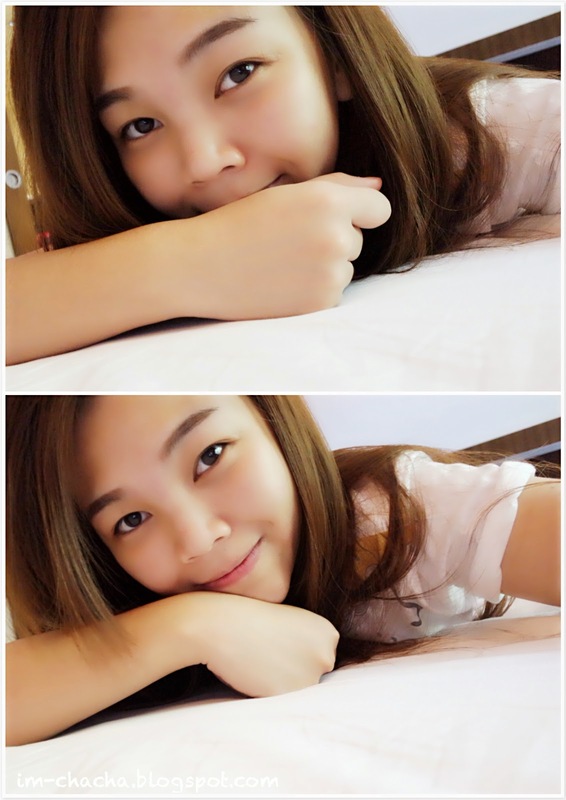 I hate that my face looks yellowish without any glow. 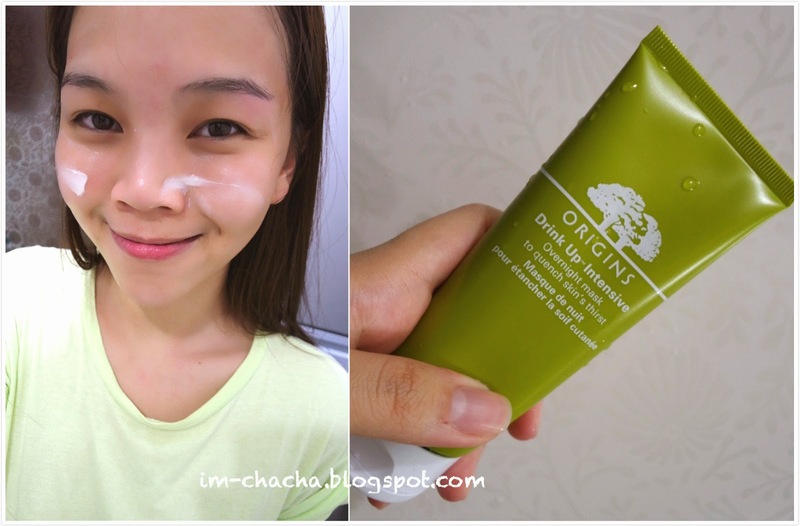 Besides bringing back my glowing skin, this mask also helps to clear pores and maintain the skin PH balance. If you find your skin oily, it might be due to dry or sensitive skin condition. Balancing your skin’s PH level is the key to healthy skin! 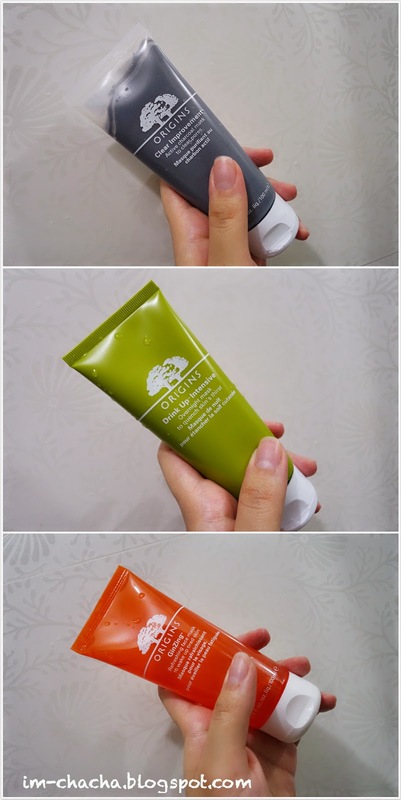 A refreshing gel mask to wake up tired skin. 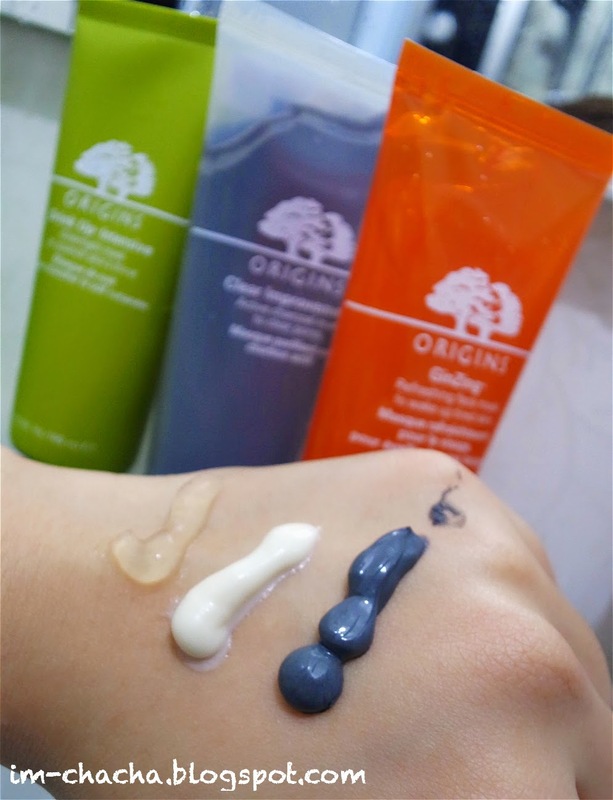 GinZing™ Refreshing Face Mask gives dull, tired skin an extra boost with this icy cool, gel texture. Best for all skin types, coffee beans energize as cucumber refreshes and hoelen mushroom soothes. Skin’s get-up-and-glow is rapidly restored. You can customise your mask ritual to suit your skin needs by applying different Origins masks on different problem areas. I applied Clear Improvement™ charcoal mask on my T-zone, which helped to clear the pores and brightened up my dull forehead. Then, Drink Up™ Intensive Mask on my cheek to deeply hydrate and moisturize, especially after long hours in an air-conditioned room. 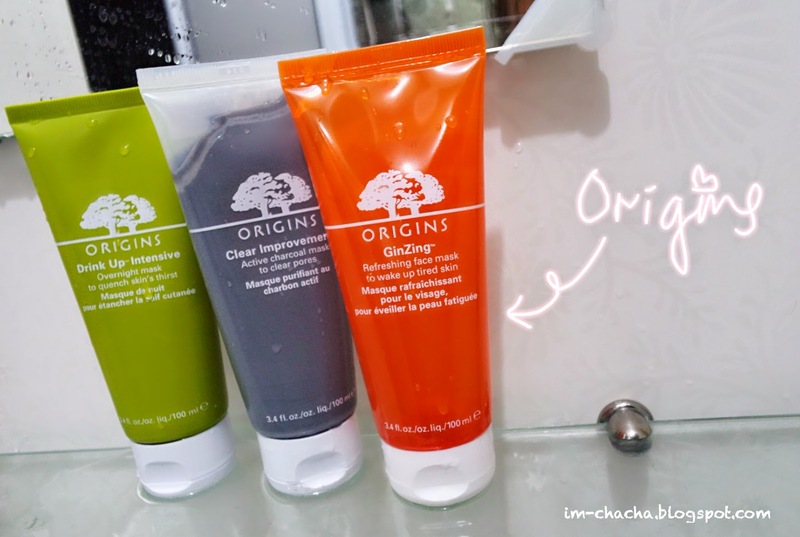 Followed by Ginzing™ Refreshing mask on my cheek and under my eyes to refresh my tired skin immediately. I love what the masks can do for me, it’s having my own private spa-like facial at home without wasting any time.